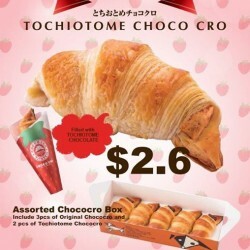 Love your day with this new Chococro filled with Tochiotome chocolate at $2.6 . Available in all St. Marc Cafe outlets. 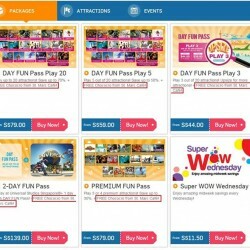 Present your Sentosa fun pass tickets to any St. Marc Cafe outlet and get a free CHOCOCRO! So, what are you waiting for? Come and hurry! 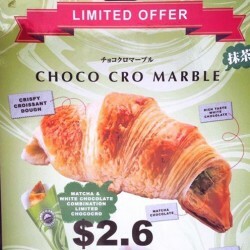 Matcha Mable Chococro debut! Crispy croissant dough with bitter matcha chocolate and rich white chocolate inside is going at $2.60/pcs at all Saintmarc Cafe outlets including Bakery&Bar ST MARC at ECP 10am to 10pm.